Zen is often referred to as the heart of Buddhism and its enigmatic teachings have fascinated spiritual seekers for centuries. 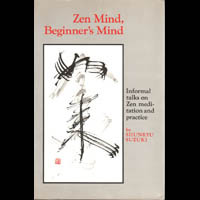 Although Zen emphasizes that its teachings lie beyond words, many Zen masters have written books which eloquently point to a deep intuitive understanding of reality. The volume contains selected writings of D.T. 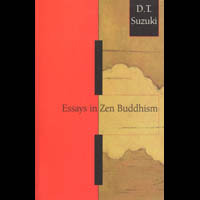 Suzuki, one of the primary exponents of Zen in English. 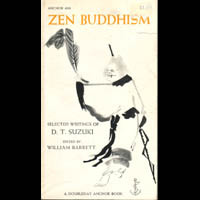 The book is intended to introduce the general reader to the history and spirit of Zen. 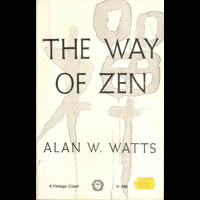 For many Westerners The Way of Zen by writer Alan Watts was their first introduction to the teachings of Zen Buddhism. In his lucid readable style, Watts discusses the background, history, principles and practices of this powerful Eastern spiritual teaching. In this collection of his most important essays, D.T. Suzuki explores a variety of topics, including the history of Buddhism, the daily life of a Zen monk, and the path to enlightenment. 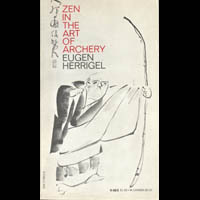 In this classic volume, Herrigel, a German philosopher who came to Japan and took up the practice of archery as a means of understanding Zen, gives an illuminating account of his experience under the tutelage of a Zen master. 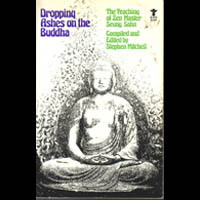 This masterly book originated from a series of talks given by Zen master Suzuki to his Western students. His approach is informal, and he draws his examples from ordinary events and common sense. Highly recommended. The book consists of dialogues, stories, Dharma talks and letters, reflecting Korean Zen master Seung Sahn's interactions with his Western students. This fresh presentation of Zen teaching is irreverent and often hilariously funny. 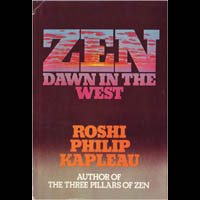 The volume draws upon Zen Roshi Kapleau's experience in conducting intensive meditation retreats, introductory workshops and lectures to provide a comprehensive overview of Zen teachings for a Western audience. 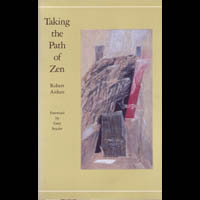 American Zen teacher Robert Aitken has written a comprehensive introduction to Zen with an emphasis on zazen or meditation practice. Aitken discusses correct breathing, meditation posture, teacher-student relations and the difficulties encountered on the path of spiritual awakening. 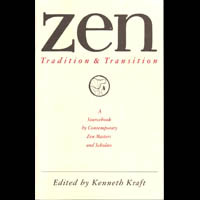 Professor Kraft has compiled an important collection of essays reflecting the work of both Zen teachers and Zen scholars. Topics include Zen history, poetry, meditation, encounters with Zen masters, and recent developments in North American Zen. 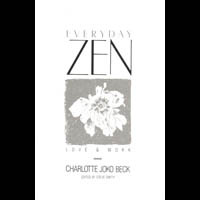 Charlotte Beck is a contemporary American Zen teacher who offers a warm engaging approach to using Zen to deal with the problems of everyday living -- love, relationships, work and suffering. Learning to live in the present moment is the essence of her teaching. 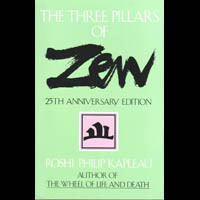 Roshi Kapleau's influential book artfully presents the three foundations of Zen: theory, practice and enlightenment. The text blends lectures, meditation instruction, the personal experiences of students, and commentaries on Zen teachings to instruct and inspire the spiritual seeker. 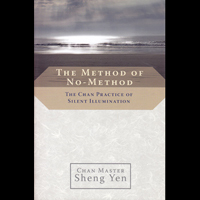 This collection of the teachings of great Chinese Zen masters shows that Zen is practical, remarkably flexible, adaptive to contemporary and individual needs, and able to transcend cultural boundaries. 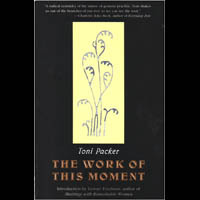 Former Zen teacher Toni Packer presents a radically simple and original approach to spiritual growth free from religious authority and dogmatism in this collection of talks, essays, interviews and letters. 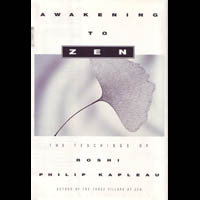 This companion volume to Everyday Zen focuses on the importanc of everyday life as an opportunity for spiritual growth and awakening. Beck writes with wit, penetrating insight and compassion. Kazuaki Tanahashi & Tensho David Schneider, eds. 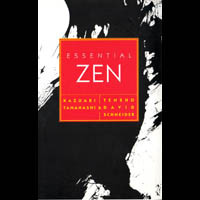 Essential Zen is a collection of classic Zen writings and works by contemporary Zen exponents. 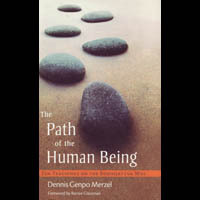 The stories, poems and teachings reflect the universal appeal of Zen as a path of spiritual awakening. The volume is a compilation of Roshi Kapleau's writings, talks, lectures and interviews spanning a 32 year period. Kapleau's practical grounded approach to Zen teachings is especially accessible to the Western mind. 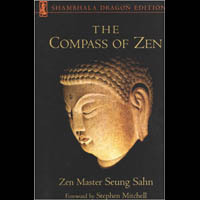 Zen master Seung Sahn's clear presentation of essential Buddhist teachings is direct and often humorous. He cuts to the heart of Buddhism without relying on esoteric or academic langauge in a way that is accessible for both beginners and long-time students. 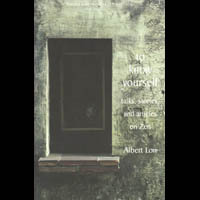 Zen teacher Albert Low studied with Roshi Philip Kapleau for more than 20 years. The book is an engaging collection of talks, stories and articles on Zen ranging from Dharma talks to discussions on Buddhism and Christianity. 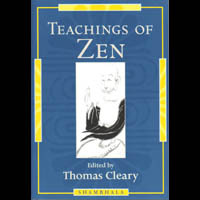 In this anthology, renowned Buddhist translator Thomas Cleary presents talks, sayings and records of encounters between teachers and students to show the essence of Zen through the words of Zen masters themselves. 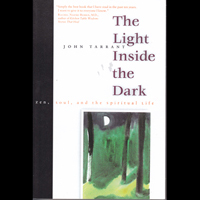 Australian Zen teacher, poet and psychotherapist John Tarrant weaves personal reminiscences and tales from Eastern and Western spiritual traditions to map the soul’s journey from ignorance to enlightenment. His lyrical writing captures the light and darkness of the human condition with warmth, humour and boundless optimism. 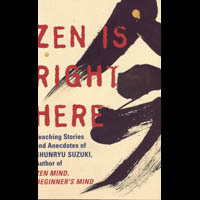 Students of Zen master Shunryu Suzuki offer personal stories and anecdotes of their teacher which capture the essence of his teaching style -- humorous, paradoxical and enlightening. This meditative inquiry challenges our beliefs and assumptions about the nature of enlightenment. The reader is brought back to the ground of their own experience and invited to a genuine investigation of the wonder of choiceless awareness and timeless presence. One of the simplest yet most effective methods of meditation is “just sitting.” In Zen this subtle approach is called shikantazi. 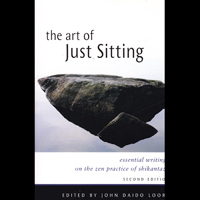 Zen abbot John Daido Loori brings together writings ranging from classical Zen masters to contemporary teachers to point directly to the essence of this powerful spiritual practice. 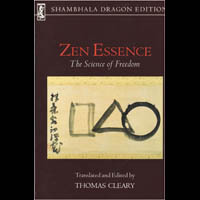 The book offers a clear and accessible perspective on Zen practice and its relevancy to the demands of the modern world. Both beginners and seasoned practitioners on the spiritual path can benefit from the experience and insights of this contemporary American Zen teacher. 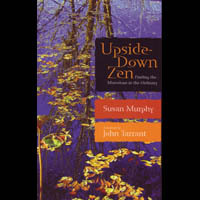 Writer, filmmaker and spiritual teacher Susan Murphy expresses the timeless wisdom of the Zen tradition in modern, lyrical terms. She draws from such diverse sources as literature, folktales, modern cinema and Australian aboriginal spirituality. 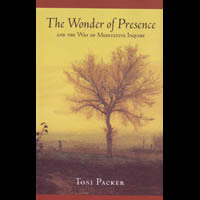 In simple, clear and direct language spiritual teacher Toni Packer presents the essence of mindfulness practice and awareness meditation. 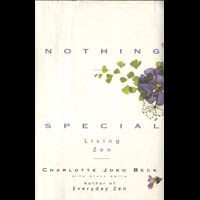 She provides insights on using the experiences of life to reach a state of inner stillness beyond thoughts and words. Albert Low, director of the Montreal Zen Centre, addresses questions his students have posed about the practice of Zen. 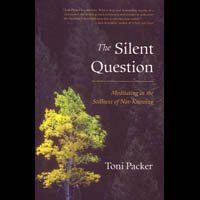 The questions reflect the concerns of both beginning meditators and longtime practitioners alike. 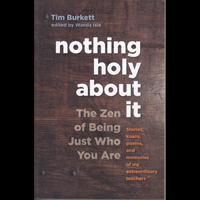 Psychologist and Zen teacher Tim Burkett was a student of respected Zen master Shunryu Suzuki, and later of Dianen Katajiri Roshi, in whose lineage he is a dharma heir. His deep respect and admiration for his teachers is evident in the many personal anecdotes about both that appear throughout the book. His primary message reflects the book’s title: one doesn’t need to look for holiness since buddha nature is right here in front of us in the experiences of everyday life. 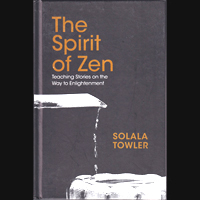 The Spirit of Zen is a compilation of stories, history and practical guidance from classical and contemporary Zen masters. The stories are profound, earthy, outrageous and full of paradox, as well as highly entertaining. The text is accompanied by beautiful black and white photographs of the natural world that capture the spirit of Zen.